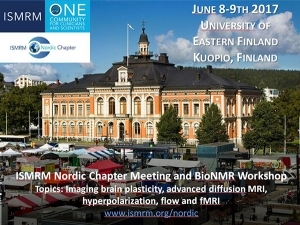 The Nordic Chapter of the International Society of Magnetic Resonance in Medicine (ISMRM) is an organisation of the Danish, Finnish, Icelandic, Norwegian and Swedish Members of the ISMRM that carries out the functions of the ISMRM within the Nordic area. Any member in good standing of ISMRM or the Society of Magnetic Resonance Technologists (SMRT) who is resident in Denmark, Finland, Iceland, Norway and Sweden may be admitted to membership, on payment of the annual subscription. 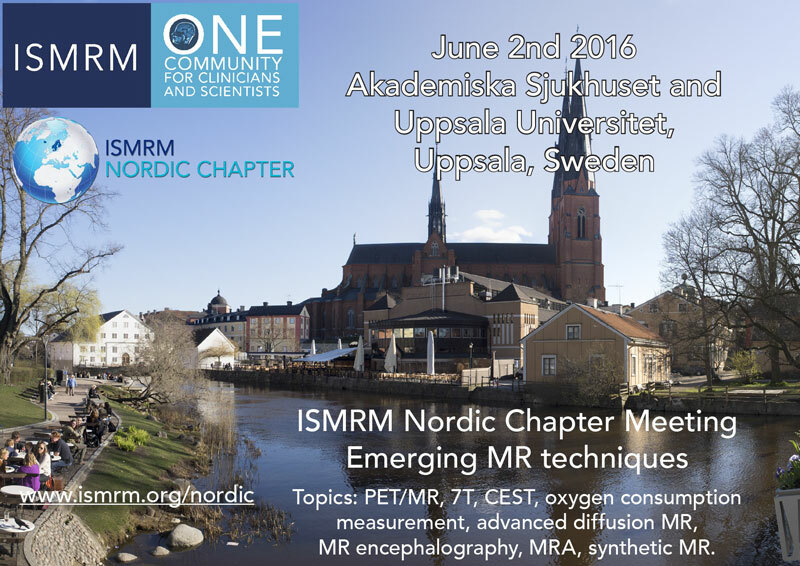 If you wish to become a member in ISMRM Nordic Chapter send an email to nordic@ismrm.org stating your profession. 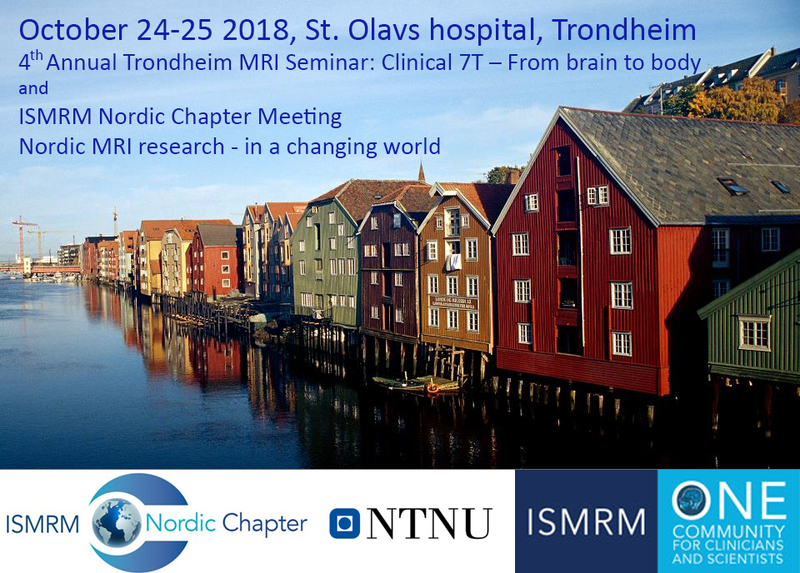 The 6th Nordic Chapter annual meeting will be held in Copenhagen on October 22-23, 2019! Details will be added here during 2019. Chairman: Karin G. Markenroth Bloch, Ph.D. Member: Nils Dahlström, M.D., Ph.D. Member: Hartwig R. Siebner, M.D., D.M.Sc. Member: Timo J. Liimatainen, Ph.D. Member: Tone Frost Bathen, Ph.D.
To promote communication, research, development, applications and the availability of information on magnetic resonance in medicine and biology and other related topics. To develop and provide channels and facilities for continuing education and communication in the field. To provide information and advice on those aspects of public policy which are concerned with magnetic resonance in medicine and biology and other related topics, and otherwise perform charitable, scientific and educational functions with respect to magnetic resonance applications in medicine and biology and other related topics. To work with or for, and to co-operate with local, regional and national governments and governmental and private agencies, organisations, firms and institutions in efforts to accomplish one or more of the above purposes. To ensure that scientists and clinicians working in the field have equal and fair opportunities to contribute to it. 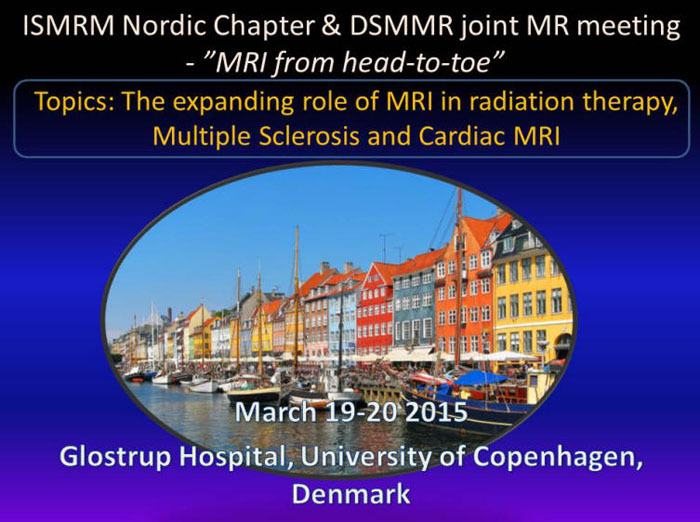 The ISMRM Nordic Chapter supports the ESMRMB Lectures on MR. 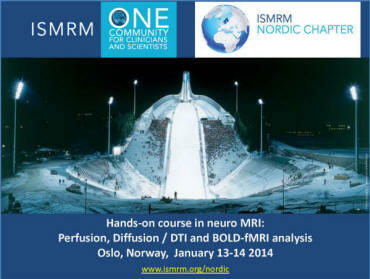 Please click here for a list of upcoming ESMRMB courses.